We design and print a range of different types of business cards. We offer fast, reliable high quality full colour CMYK offset printing services at very cheap prices. We use state of the art A1 Ryobi presses, chemical free processing and soy based inks. Our paper is high quality, eco-friendly paper sourced from sustainable forestry. We offer a 100% money back guarantee if you are not satisfied with our products and delivery is free Australia wide. 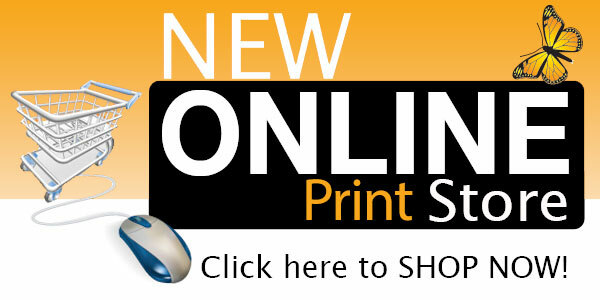 Fast printing delivery to Gold Coast, Sunshine Coast, Brisbane, Sydney, Melbourne, Adelaide & Perth. If you are supplying your own artwork please take a look at our artwork specs. Some of our business card products can be printed within 24 hrs. If you place your order and send your artwork to us by 10am we will deliver the next day. This only applies to the two following products: Business Cards with Gloss Cello finish front only on 400gsm, and with Matt Cello finish both sides on 400gsm. If you email us a a brief and more information we will quote on the design and the prices may come in cheaper. Note: If you are supplying your own artwork and need us to make any alterations, please allow $80/hr for edits. If you only need something minor we may not charge but please ask us first. Standard business cards are good quality with no cello finish and are 350gsm – these are the cheapest card stock. Gloss Cello Finish – A high gloss cello laminate finish which is shiny. Matt Cello Finish – A matt cello laminate finish with a nice silk feel to the touch. Both these come in 310gsm, 350gsm and 400gsm. We can also produce double sized business cards which are twice the size of regular business cards and are folded in half and scored. Ideal for promos etc. We also design and print custom sized business cards and if interested in these, please contact us for a quote. We can also supply business cards with round corners. Click here to view our brochure portfolio. Printing and delivery time frames vary depending on your location and the type of card stock but most orders are delivered with 3-4 days. If you have a a deadline date please contact us to see if we can meet your timeframe. Some of our business card stocks can be printed fast with 24hr turn around time. We offer free delivery Australia wide. Payment is required in full prior to design and printing. If you already have your artwork in print ready format and just require printing, please check the instructions below to ensure you supply the correct files in the right format. Once you have placed your order you will be sent a link with details on how to upload your artwork. Our standard business card size (after trimming) is 90mm x 54mm. However we can print any size you require but standard size will be printed quicker. Standard business cards should have a 2mm bleed over the finished size, but please refer to the specification templates below file for cards with other measurements. Allow a 3mm safe area – ie. all text and images should be 3mm from the trim area. All fonts to be turned into paths or curves. All bitmap images must be min. 300dpi and CMYK. Reversed type (light type on dark background) should be a minimum of 7pt. Please supply all files separately as we prefer to do our own imposing. PDF’s should be individual files and not multi-page documents. Registration marks, keylines, dielines and other non-printing items should be removed. No crop registration marks required, however if crop marks are required please ensure they are positioned outside bleed. Click here to view the setup file which shows the dimensions, bleed and safe area. This is not a template, but a good guide. We are always integrating new green initiatives into the operation of our business. We pursue a waste management program that ensures a reduction in waste produced, ultimately meaning less waste going to landfill. State of the art equipment results in more energy efficient printing and reduces the demand on natural resources. By adopting the latest Computer to Plate technology in pre-press the need for film and chemical processing has been eliminated. Our online ordering and processing systems use less paper for hard copy proofing and job handling. Our paper is high quality, eco-friendly paper sourced from sustainable forestry. If you are looking for a greener solution for your printing needs ask us today about our paper options that contain recycled materials.